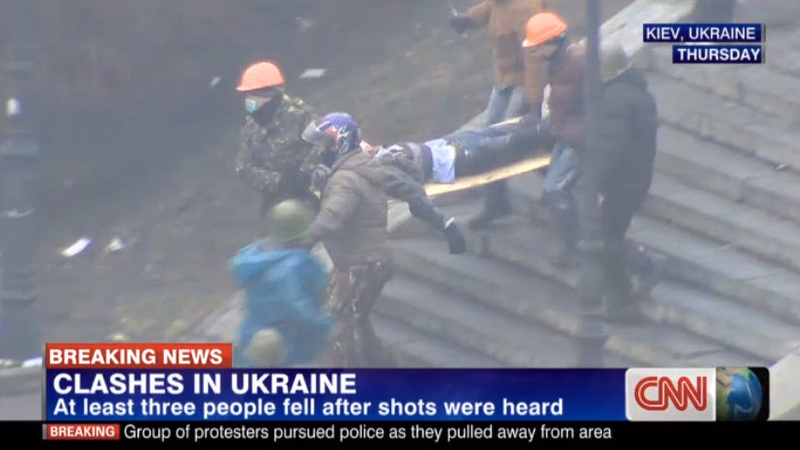 CNN International’s coverage of the unrest in Ukraine has been awarded the prestigious Golden Nymph award for Best 24 Hour News Programme at the Monte Carlo Television Festival. CNN received the award for its coverage of a shooting that took place in Kiev’s Independence Square during anti-government demonstrations earlier this year. The Monte Carlo TV Festival honors the best in worldwide television across TV series, Miniseries, TV Films, and News. The jury saw footage of CNN’s teams reporting live from Kiev’s Independence Square after a truce was declared overnight. The security forces had pulled back from their positions and protesters had retaken parts of the square. While correspondent Phil Black updated viewers on the standoff between security forces and more extreme elements among the protesters, shots were heard and protesters were seen falling to the ground. With Nick Paton Walsh reporting live from the ground by phone, the two correspondents were able to give a vivid account of the Ukrainian protests taking a serious, more violent turn, while anchor Rosemary Church reminded viewers of the context.